"Freedom of the press is a flaming sword! Use it justly...hold it high...guard it well." 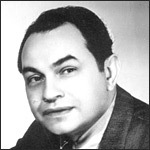 Edward G. Robinson stars as Steve Wilson, the idealistic Managing Editor of Big Town’s best newspaper, the Illustrated Press. Along with his top reporter, Lorelei Kilbourne, Wilson went after the criminals and the tough stories. With the help of their battery operated tape recorder, they did everything from breaking up a poultry racket to protecting abused orphans. Steve and Lorelei also took on many social issues, including gun safety and drunk driving. At one point during its 15 year run, Big Town was the number one crime drama show on radio.